24 Hr Concierge in lobby, Edenshaw Elevated Keyless Entry, Refrigerated Parcel StorageFitness Centre with Cardio and Weight equipment, Yoga Studio, Fitness Deck, Designer Appointed Private Dining Room, Movie Screening Lounge, Games Room, Guest Suite, Business Centre and Co-working Room, Pet Spa, Landscaped Outdoor Terrace with Alfresco Dining, BBQs, Fire Pit Sand Lounge Seating. 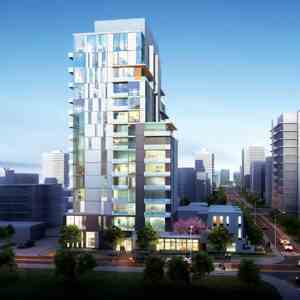 As one of the expert condominium developers in the Greater Toronto Area, Edenshaw Homes has developed in conjunction with 45 Charles Ltd. the trend setting and stunning Chaz located on Charles near Yonge. The astounding building designed by these developers establishes a new and riveting feature in the middle of the Toronto skyline with its sleek tower incorporating spacious balconies recessed directly within the actual alcoves of the structure itself. 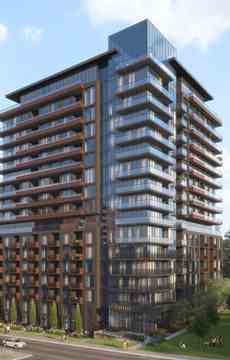 The most notable feature is the completely unique cantilevered section near the top of the south side which encompasses two storeys of the tower as the site for the Chaz Club, a magnificent dining and gathering space for Chaz residents to enjoy the most advanced and sought-after amenities. 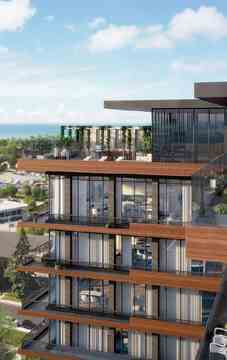 The Chaz also features Workout Facilities, Yoga/Aerobics Centre, Saunas, Movie Screening Room, Guest Suites, Pet Grooming Room, and an Outdoor Fireplace lounge.